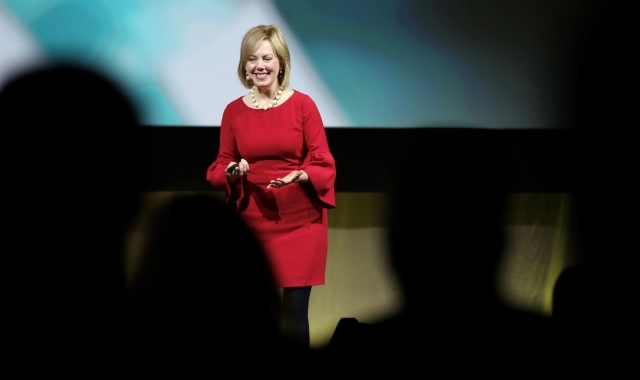 Keynote speaker Ginger Hardage shared with REACH 2018 conference attendees the virtues, passion and vision of being a part of Southwest Airlines during the airline company’s famously-recounted rise to success during the California and Nevada Credit Union Leagues’ morning general session on Friday in Hollywood, CA. Hardage was formerly senior vice president of culture and communications for Southwest, spent 25 years with the airline, was a member of the CEO’s executive leadership team, and is an expert on creating and sustaining organizations of “enduring greatness.” She was responsible for the activities that nourished the culture and internal-external communications function. She described what it was like to help champion the values that have made Southwest a culture of enduring greatness—values that credit union leaders are familiar with. Keynote speaker Kirk Drake dispensed a relevant perspective on “member stratification,” engagement, and a digital-first strategy with REACH 2018 conference attendees during the California and Nevada Credit Union Leagues’ final general session on Friday in Hollywood, CA. Individual "Advocacy Award" individuals and credit unions (pictured with all "Credit Union Award" honorees): Jeff Napper (from LBS Financial CU), Rick Schmidt (from WestStar CU), Orange County’s CU (represented by Shruti Miyashiro - not pictured); Boulder Dam CU (represented by Eric Estes); CUNA Mutual Group; and Marvel Ford (from California CU). The credit union movement wouldn’t be where it is today without advocates who devote their time and resources to fighting on behalf of their credit union’s members. This was the key theme of the PAC Contributors Reception on Thursday night during the California and Nevada Credit Union Leagues’ REACH 2018 conference in Hollywood, CA. After three days of lively events, collaboration and fostering a deeper perspective, those who are involved in advocacy at the state and federal political levels (Political Action Committee) took a break from each day’s events to come together and be celebrated by the Leagues and the entire industry for their hard work and efforts. 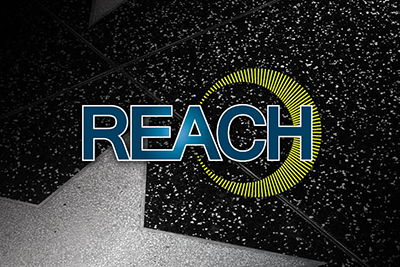 The REACH 2018 conference on Thursday afternoon was filled with plenty of mini-presentations on innovation and disruption, product delivery, networks and operations, disaster recovery, engaging consumers, trends and issues, culture and strategy, collaborative analytics, e-commerce, cybersecurity, and thriving in today’s business environment. These were just a handful of topics delivered during the third day of the California and Nevada Credit Union Leagues’ annual convention in Hollywood, CA. 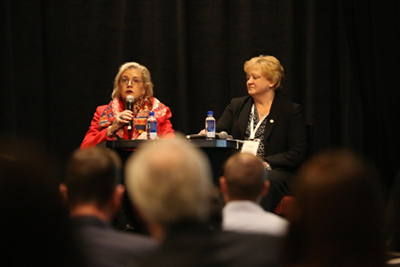 After two days of keynote speakers, panels, and other guests on stage, conference attendees absorbed even more information to take back and implement at their credit unions. 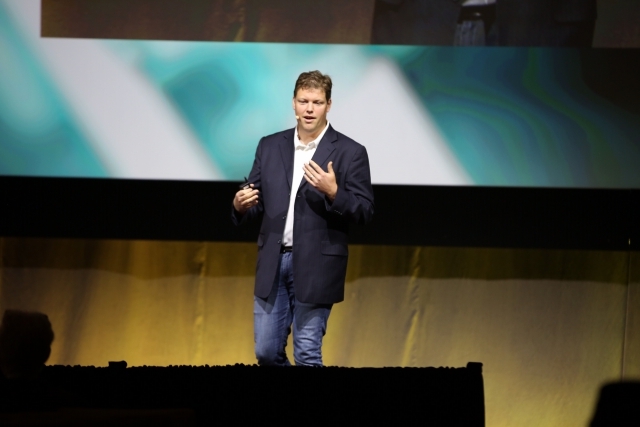 Keynote speaker Mark van Rijmenam rolled right into “the genius” of big data, blockchain, and artificial intelligence technologies during mid-day Thursday general session of REACH 2018 in Hollywood, CA—the California and Nevada Credit Union Leagues’ annual convention. 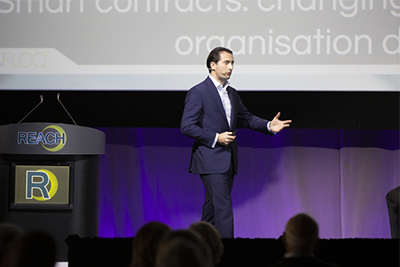 Founder of Datafloq, a “top 10” big-data influencer, and founding partner of the Australian think-tank The Digital Leadership Initiative, van Rijmenam said that if credit union leaders want to innovate in today’s fast-changing rules environment they need to think differently. Select jobs in the economy will be “taken over” by mathematic algorithms, as they already are. The pace of change today is creating a more turbulent environment for the average business. 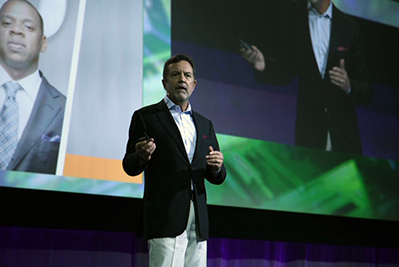 Keynote speaker Rich Karlgaard started off Thursday morning’s general session of REACH 2018 in Hollywood, CA with a look at politics, businesses, consumers, and more importantly three mega-trends impacting the U.S. economy with respect to how people and leaders communicate and trade. 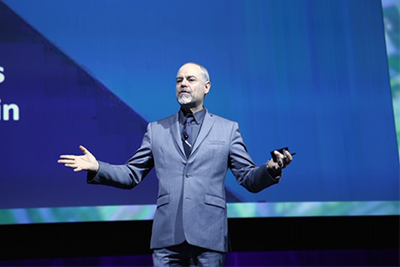 “We are entering a new era of digital transformation from 2016 – 2030,” said Karlgaard, a Forbes Magazine journalist, bestselling author, and award-winning entrepreneur. He discussed the recent mid-term elections with attendees of the California and Nevada Credit Union Leagues’ annual convention. He noted how those in the financial markets were happy. National Credit Union Administration (NCUA) Board Chairman J. 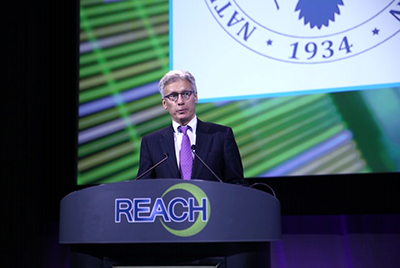 “Mark” McWatters also addressed attendees at the REACH 2018 conference on Thursday as well, discussing the recent national mid-term elections and how NCUA board members are not approaching each other in a “divided” way—but diplomatically. 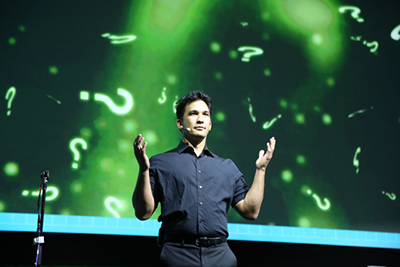 Keynote speaker Jason Latimer during the opening general session at REACH 2018. Two different “Spark Sessions” on cannabis banking and consumer awareness of credit unions ignited on Wednesday afternoon immediately before the opening general session of the California and Nevada Credit Union Leagues’ REACH 2018 conference in Hollywood, CA. 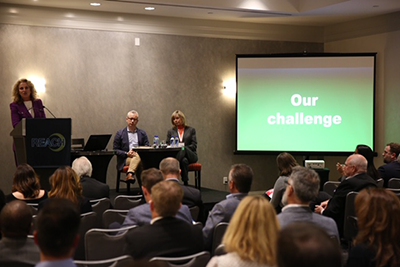 The gatherings represented a new feature leading into the Leagues’ annual convention this year as thought leaders in the industry try to stay on top of the latest societal and legislative trends that impact households, communities, and banking. The California and Nevada Credit Union Leagues combined board of directors, with Leagues' President and CEO Diana Dykstra (center). 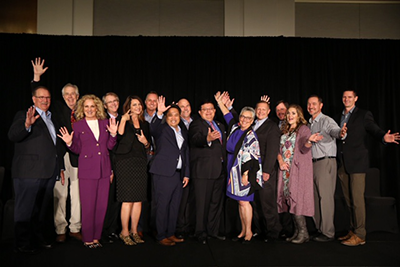 Leaders from the boards of the California and Nevada Credit Union Leagues thanked fellow colleagues in the movement for their unwavering support during another year in which credit unions displayed their unique “member owned” model to the world around them. The annual business meetings of both state leagues took place on Wednesday mid-day before the Leagues’ REACH 2018 conference started later that afternoon in Hollywood, CA. Credit Union Award honorees at "REACH"
A group of exceptional leaders were recognized during the Credit Union Awards Ceremony on Wednesday for their remarkable service to the credit union movement and their members during the California and Nevada Credit Union Leagues’ REACH 2018 conference in Hollywood, CA. From political advocacy on behalf of the entire industry to personal involvement in the lives of fellow peers and their credit union members, these special leaders have gone above and beyond the call of duty in their line of work. 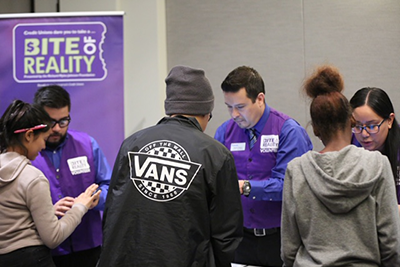 Students from Hollywood High School got a “bite of reality” when they attended an interactive financial education simulation designed to teach them how to manage money in the morning hours before the California and Nevada Credit Union Leagues’ REACH 2018 conference kicked off on Wednesday afternoon. The Nov. 7 event at the Loews Hollywood Hotel in Los Angeles, CA was offered by the Richard Myles Johnson (RMJ) Foundation, the state foundation for credit unions in California and Nevada. It aimed to teach young people the basics of finance by having them take a “real world” test drive, complete with a job, money, and the freedom to make their own financial decisions. 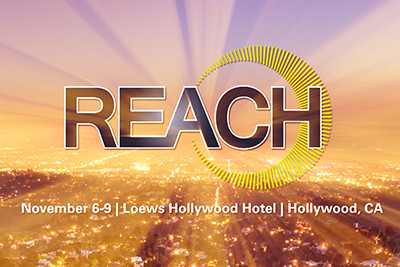 As more than 700 credit union leaders and system partners were anticipating this year’s REACH 2018 conference in Hollywood, CA, many had already arrived onsite on Tuesday and were engaged in a variety of kick-off events prior to the annual convention—a premier industry event hosted by the California and Nevada Credit Union Leagues. The REACH Golf Tournament gave attendees an opportunity to unwind and network as they displayed their skills “on the green.” This annual convention kick-off event is always an opportunity to regroup and collaborate with fellow peers in the credit union industry, as well as business partners who support the credit union system, philosophy and values. New connections are made, and old friendships are rekindled. You can stay engaged with the “live” experience of REACH 2018 by visiting the REACH Social Wall all week long—a round-up of social media posts! Staff and attendees of the California and Nevada Credit Union Leagues’ highly anticipated annual convention will be sharing photos, comments and memories through Twitter (@CUatREACH) and Instagram (cuatreach) from Tuesday – Friday. 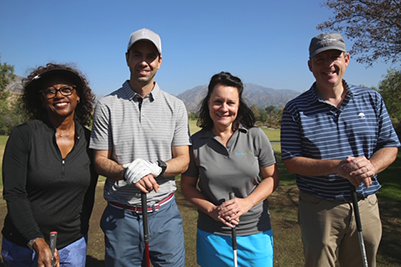 The California and Nevada Credit Union Leagues is putting on the final touches to REACH 2018, its flagship event, is taking place next week on Nov. 6-9 in Hollywood, CA. There is still time to register for this important conference. REACH 2018 will connect and engage attendees in new transformative ways with new tools, insights, and strategies that will unleash new possibilities and opportunities.